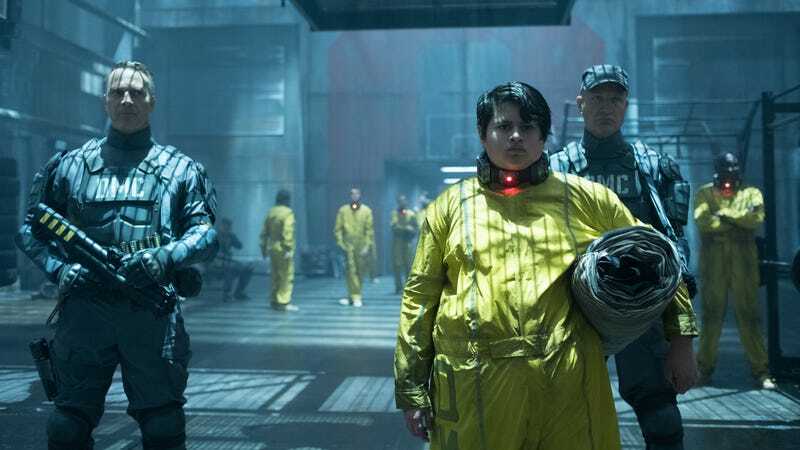 Deadpool 2 star Julian Dennison (who’ll always be Hunt For The Wilderpeople star Julian Dennison in our hearts) has signed up for his next big-budget blockbuster team-up, with THR reporting that the young actor will appear in 2020's Godzilla Vs. Kong. Dennison has been widely praised for his performance in Ryan Reynold’s latest superhero hit, in which he plays the subject of future badass Cable’s murderous vendetta. It’s been a minute since we’ve heard any new details about Godzilla Vs. Kong, which is being situated as a crossover sequel to both 2014's Godzilla and the more recent Kong: Skull Island (plus Godzilla: King Of The Monsters, which is set to come out next year). Kyle Chandler and Stranger Things’ Millie Bobby Brown are both expected to reprise their King Of The Monsters roles for this latest kaiju throwdown, meaning that this particular city-smashing flick will apparently be overdosing on high-quality kid acting talent. Adam Wingard, lately of Blair Witch but also other, better, earlier movies, is scheduled to direct.